Discussion in 'Giveaways and Contests' started by khanyash, Nov 20, 2018. 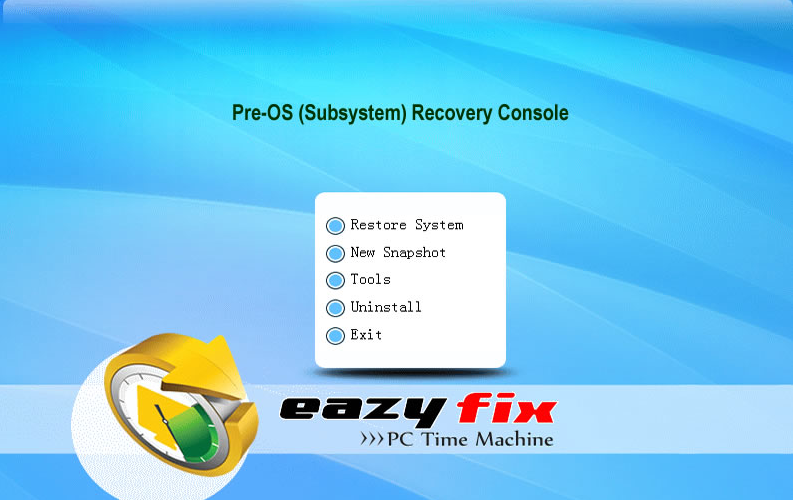 Eazy Fix is a system instant recovery solution. It lets users to instantly undo PC problems by reverting the PC back to last hour, yesterday, last week or last month before the problems have happened. 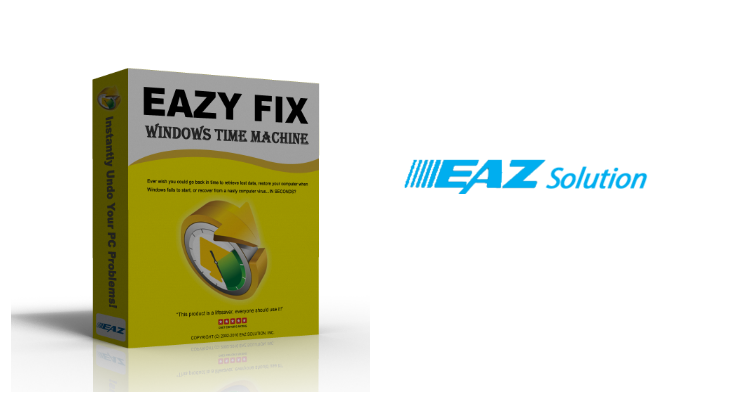 Eazy Fix works even if Windows O.S. fails to bootup. 5 seconds to create a snapshot. A snapshot contains 100% of Windows system, user data, programs and settings (WYSIWYG). $34.95 Regular License. The license comes with one year FREE license maintenance. $10.50 Upgrade License. The cost of an upgrade license is 30% of a regular license. $06.30 License Maintenance. The cost of license maintenance is 18% of license cost. does not require hidden partition or reserved space to install. continuously protects system from any known or unknown software threats. can take a new snapshot of PC regardless the hard disk size and system size in less than 5 seconds without interrupting your work. can roll back to a snapshot in less than 10 seconds even if Windows fails to bootup. can restore data up to the minute of crash. works as if it's not even there, it doesn't require user to do anything. recover Windows if Windows fails to bootup. clean up virus and spyware infections. reset workstations to desired baseline upon restart. create test beds for software testing. protect system and data from unauthorized access. free major upgrades v12, 13 and so on... until Dec 2019. I may increase or decrease the number of licenses based on the number of valid entries. Comment on "why you would like to win Eazy Fix" to make a valid entry. 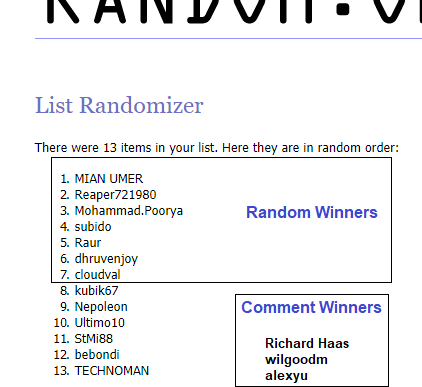 Winners - PM me within 3 days to claim the win. To avoid problems with the computer, it will be very functional. 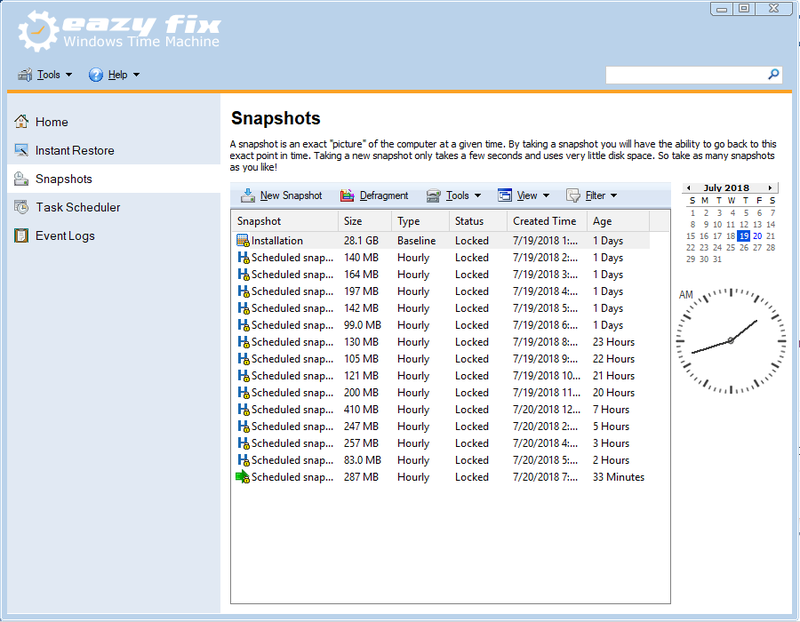 Eazy Fix looks like very promising multi functional tool for PC backup and recovery that everybody shoud have. 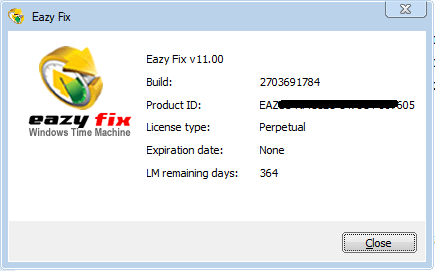 I want to win a license for Easy Fix because it helps to quickly restore when some issues happen on computer. It can be also used to remove programs by going back to the snapshot before the program was installed and with this method no annoying traces of programs remains. What a Great Giveaway! This will save so much time and frustration! No more clean installs, hours loss trying to recover data and images. A Perfect fix for less than perfect users or software. 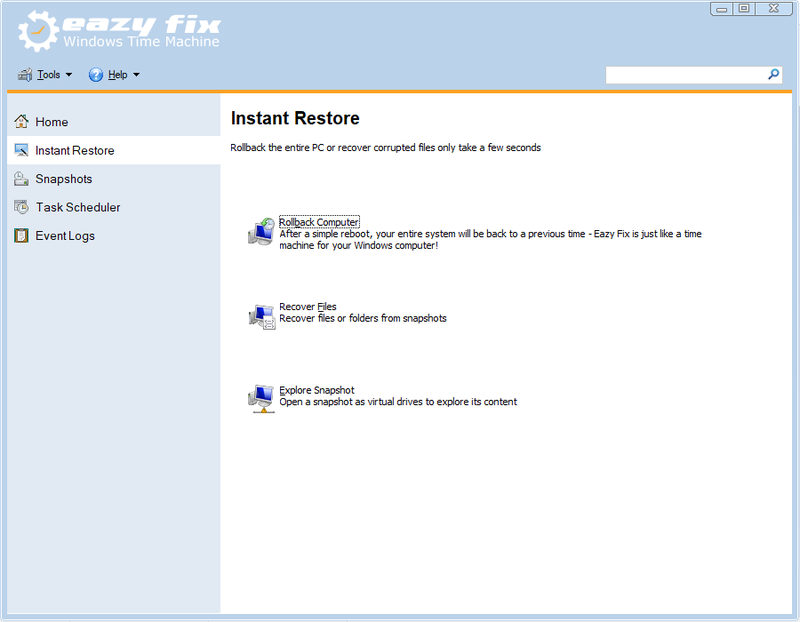 Easy Fix is like an instant time machine because it helps you by easily restoring your PC to any previous state within seconds. It is a very good application to have on your system, while dealing with botched up system updates or software installations. I would like to win a license to this easiest and fastest PC rollback software in the market. I would like to win a license for this software in order to have that piece of mind knowing that all my files are safe and can be reverted back in case of a PC disaster. Trying this software i noticed that it might be a perfect anti-ransomware software so please count me in to win a license for this very good solution. Many times i experienced troubles with my computer. It is common to have virus, windows fails to bootup, deleted or corrupted files and many other problems. With the time machine software Eazy Fix, no more headache or long time trying to solve these problems. Simply launch the app and revert back your PC to anytime point you want. Simple and fast. i would like to thank @yashkhan for this very nice giveaway. i need this program to secure my desktop and continue to install all sort of programs with no worries at all knowing it can revert back in a minute. Thanks for the opportunity in this giveaway @yashkhan ! I like to win a license because it will be useful as my system instant recovery solution, to let me instantly revert the PC back to last snapshot before the problems occured, when any disaster strikes or when my system fails to bootup. It's like a time machine feature in Macs. Count me in please! Thanks a lot @yashkhan and EAZ Solution for this new year giveaway. After the development of Comodo Time Machine ceased, I started to look for alternative software with similar features. I have tried Rollback Rx with the home version and I think it does a very good job taking or recovering snapshots in a few seconds. However, the price of Rollback Rx seems to be a little bit high for me. With the home version of Rollback Rx, I can only take 7 snapshots. In addition, I cannot schedule snapshots based on my needs. 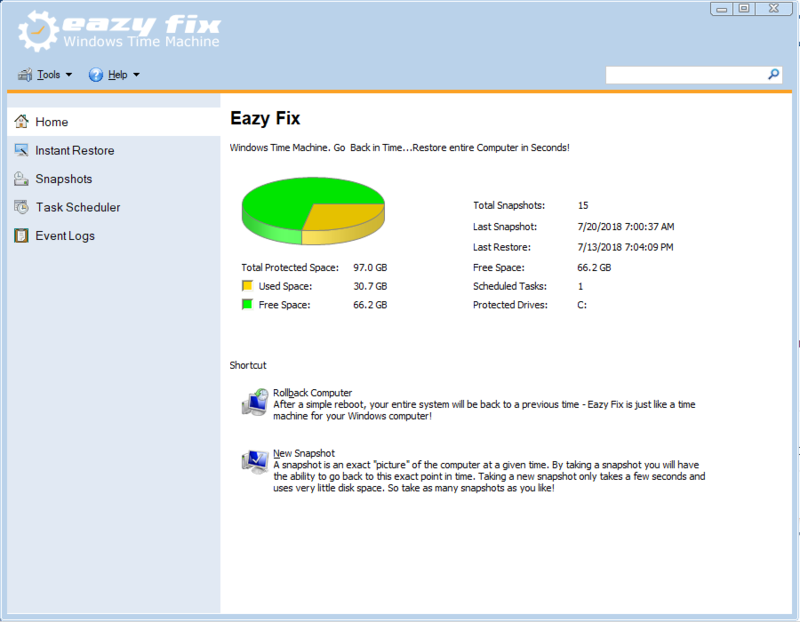 Easy Fix is quite similar to Rollback Rx but with much more reasonable prices for perpetual and upgrade licenses. I didn’t hear much about it, but I’d like to give it a try. Easy Fix will make me feel safe when I try to open emails hereafter as it may protect my computer from virus or unknown software threats. I wish I could win a license so that I will be able to take unlimited snapshots and use task scheduler to take control of them. If all goes well, I might also recommend it to colleagues in the workplace. Good program for PC problems and for recovery. i can't afford the games, so i play cracked games mostly. having this software would be a lot of help, as it will allow me to 'system restore' right before my system was infected with any malware(if the cracked game was infected with any).